It was a sea of hope at Saturday's Rankin Cancer Run. More than 14,000 people participated in the 13th annual event in St. Catharines, raising a remarkable $1.05 million. "You inspire hope," Niagara Health President Suzanne Johnston told the crowd at the event's opening ceremony. "You are the change we want to see in the world." The Rankin Run is an important fundraiser for local cancer support organizations, including the Walker Family Cancer Centre and other services Niagara Health provides across the region. In its 13 years, the event has raised more than $8.5 million, which all stays in Niagara. Last year alone over $600,000 was donated to Niagara Health. 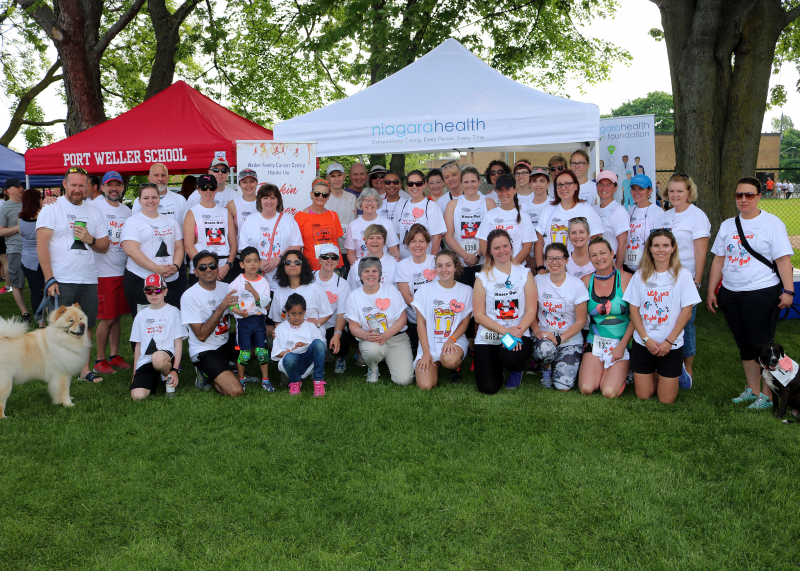 Our Niagara Health Extraordinaires team was honoured to receive the Tom Rankin “Spirit of Business” Top Fundraising Corporate team award at today's Rankin Cancer Run. Our 90 team members raised about $10,000. A big thank you to our team's co-captains Avia Whitehorne and Courtney McLoughlin for their hard work and dedication!